Meet The Dude Who'll Give You The Manicure Of Your Dreams! What started from peddling nail polishes door-to-door has flourished into a booming beauty venture. Daryl Chew, the brainchild behind Nail Deck, spills it all. In 2011, a university student took the plunge into entrepreneurship amidst all odds – selling nail polishes door-to-door and running pushcarts on campuses, before evolving into a hardware startup which was forced to cease productions due to lack of funds. Today, 29-year-old Daryl Chew is the owner of his very own custom cosmetics empire known as Nail Deck, where they specialise in creating bespoke nail lacquers. Innovating the beauty industry in ways previously unimaginable, Daryl is painting his own rules for success. Tell us the story behind Nail Deck. It all started when my then-girlfriend (now wife) wanted to buy a specific brand of colour-changing nail polish from the United States, but it doesn’t ship to Singapore. Back then I was under an entrepreneurship programme in the National University of Singapore, so I thought it was an interesting product from a male’s point of view. I contacted the company and became the brand’s official distributor – I ordered a few thousand bottles but didn’t know what to do with the leftovers, so I peddled a backpack filled with nail polishes and sold them to salons. After graduation, I opened pushcarts to reach consumers directly and it took off from there. If you could describe yourself as a nail polish shade, what kind of colour would you envision it to be? I would be a dark vampire blood red, and there’s a story behind it. When I was running pushcarts, I had people requesting for specific colours and there was a customer who asked for a “dark vampire blood red” but I couldn’t find the exact shade she wanted so she got frustrated. Over time, I received more and more requests. I don’t know who the woman is and I’ll never know the exact shade she envishioned, but that was what gave me the light bulb moment to go into nail polish customisation. As a male in a largely female-oriented industry, what are your thoughts on the stigma surrounding men and beauty? For me, I wear nail polish and all, but I’m not concerned with the comments. On the contrary, being a male in the field of cosmetics has allowed me to be more objective when it comes to business aspects. As I’m not a direct user, I go by consumer data instead of being emotionally invested in a product. How does the entrepreneurial landscape differ from the past and now? When I first started the business back in 2011, it was the beginning of the start-up craze and the industry has matured very quickly over the years. There are government organisations coming together to foster a strong ecosystem where they provide mentorship, fundraising initiatives, grants etc. You now have all these resources to leverage on – all you need is a good idea, determination and a leap of faith to make it happen. What were the challenges you had to face and how did you overcome them? Dealing with self-doubt. You see friends bringing in five-figure salaries, and you’d wonder whether you’ve made the right decision. But at the end of the day, nothing beats the satisfaction of being an entrepreneur. It’s a rollercoaster ride, but that’s what makes the ups better. I am also fortunate to have the support of my family and friends to keep me going. Have you ever thought about what you’d be doing if you weren’t an entrepreneur? The idea of working for another company has crossed my mind, but I love what I’m doing. I enjoy creating a brand that can carry on the legacy. 50 years down the road, I still hope to have my products on the shelves and continue bringing happiness to people. What has been the most memorable moment for you thus far? Not giving up on entrepreneurship and jumping back into the game. I put my business on hold for about two years. I enjoyed what I was doing, but I didn’t know how to grow the business and lost a lot of confidence, thus I wanted to gain more experience. I worked at an investment company and ended up doing well at it. I thought it was the right career path, but once you’ve had a taste of being your own boss, that sense of satisfaction will always be there. How do you find the balance between work life and me-time? I usually end my days earlier to spend time with my family. In the past, I had the belief that I should be working nonstop, but I realised that while businesses can always be built up again, relationships with your loved ones can’t be gained back easily. I also place a lot of emphasis on having a healthy lifestyle, so I would run on the weekends and train for marathons. What’s a piece of advice you’d give to aspiring entrepreneurs? Being an entrepreneur is not a career choice, but a lifestyle choice. You’ve got to be mentally prepared that a lot of things in your life are going to change, and you have to embrace the changes if you set your mind to becoming one. Watch Daryl introducing Nail Deck to Xiaxue! Download the Nail Deck app on iOS to find your perfect shade or purchase a Lacquer Kit from www.naildeck.com to DIY your own nails! This article was adapted from the November 2017 issue of Teenage. At only 21 years old, Isabel Lee and her business partner Anna Ng are already making their mark in the F&B world. We speak to the young lady boss behind The Acai Affair to find out how she’s doing it all. When you receive a calling, it’s best to answer it. And that’s exactly what Singapore Management University business undergraduate, Isabel Lee, did with her course mate Anna Ng when they both chose to pursue their passion for unassuming bowls of acai. Personal challenges and lack of experience didn’t deter the dynamic duo from launching their venture, with the store opening its welcoming doors in late 2016. The business is continually thriving one year on, proving that success isn’t necessarily defined age. How did the idea behind An Acai Affair come about? Anna and I are fans of acai bowls. We’re not the first in Singapore, but we felt that there was further potential for it. Taking into consideration that the selections available here are rather expensive, we wanted to come up with something more affordable and of good quality. Being business students ourselves, we made sure to do extensive market research on public opinions, competitors and the general market for healthy foods in Singapore. We decided to open our store in the East as there are plenty of gyms and wellness studios in the area, and people who patron these places usually look for healthy food after their workouts. What made you want to pursue the brand with your current partner, instead of venturing on it solo? It’s always easier to have someone to do it with. I think if we were to venture into business alone, it’d be much more daunting. Sharing the workload with a close friend makes it easier. Did you face any financial challenges and how did you overcome them? Initially, we didn’t have the funding. After pouring all our savings into the rent deposit, we had no money left so we turned to our parents for financial help. My parents refused at first, but we tried very hard to persuade them and eventually they decided to lend us some cash to cover our equipment and renovation costs. We are also lucky that we started making profits from the get-go, which makes it easier for us to repay our loan. How do you balance time between work and school? It’s really about managing priorities and making full use of all the time I can get – for example, spending less time going out and shopping. Not that those things are not significant, but doing it less allows me more time for other priorities. It’s getting better now ever since we hired more employees, but we definitely had to make sacrifices in the beginning. What were the reactions of your family and friends upon hearing of your decision to set up a business? They were quite against it as they were worried that I would flunk out of school. To my parents, doing well in my studies was a top priority. My mum knows how hard it is [to start a business], and she thought I was going into [this] without being fully aware of how difficult it would be. It took a lot of persuasion to show my parents that this was what I really wanted. After we overcame the first hurdle, they’ve been really supportive. What’s the best thing about accomplishing your startup at such a young age? I think it’s something that Anna and I can really be proud of. We tried to save as much as we could on setting up the store, so we did a lot of things ourselves. We have this black and white design wall that we drew ourselves, which took us 12 hours. Though it’s been a tiring journey, it’s been so fulfilling and it’s something really meaningful to us. Not a lot of people would have their own business at our age, although there’s increasingly more in recent years. It’s nice to hear when other people tell us that they didn’t think it would be possible for young entrepreneurs to succeed until they heard about us, or that they have been inspired by us to start their own ventures as well. What’s one lesson you’ve learned as a student entrepreneur? It changed my perspective on life as a student. I feel that in Singapore, everyone is so caught up with the paper chase. I used to be someone like that, and I would get bothered if I didn’t do well in school. For some people, their calling may not be in academics – it may be in art or singing, for example – and I think they would feel held back by the expectations of their parents and the norms of our society. I feel that I’ve managed to break out of that, and I wish more people would do the same and pursue what they’re passionate in. What are your hopes for the business in the future? Our second store at Marina DUO, Bugis is currently undergoing renovation so hopefully that will kick off. After that, we’re looking to expand the business to more outlets in Singapore and possibly overseas to countries like Indonesia and Malaysia, where more people can enjoy our acai bowls. What advice would you share with fellow budding entrepreneurs? The quote “In the end, we only regret the chances we didn’t take” by Lewis Carroll really rings true for me and the journey of An Acai Affair so far – which is why it’s up on a neon sign at our store! If you have a goal in mind and the means to attempt achieving it, you shouldn’t be afraid to try your best. An Acai Affair is located at 101 East Coast Road, Singapore 428796. Get your daily dose of acai goodness on Facebook and Instagram via @anacaiaffair! Rainy days are officially upon us and while the chilly change (the closest we’ll ever get to winter) may disrupt some outdoorsy plans, this sweater weather is perfect for snuggling up with a good book and a warm cuppa. Here are our top picks! 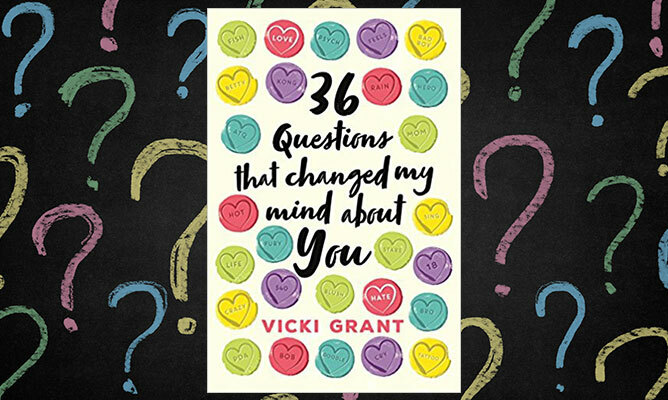 What it’s about: Rumor has it that you can make someone fall in love with you after asking 36 questions. Putting the hypothesis to the test, Paul and Hildy decide to take on the psychological study. From “What is your most terrible memory?” to “When did you last sing to yourself?”, the two strangers laugh, cry and share their darkest secrets through it all. But the most important question left unanswered: do Paul and Hildy fall in love in the end? Why it’s good for rainy days: Based off an actual psychological study from the 1990s, this book will keep your mind moving. What better than the wet weather to accompany your active brainwaves? 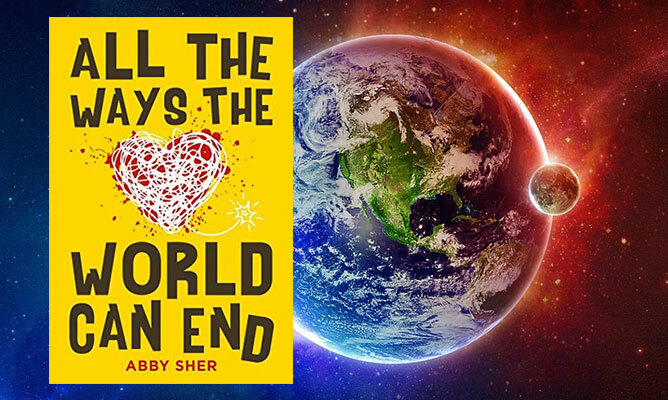 What it’s about: Eleanor is obsessed with analysing the plausible apocalypse: designer pathogens, blood moon prophecies, alien invasions… she has covered all the possibilities but failed to predict the destruction of her world. Her BFF is ditching her for a faraway school, her father is stricken with terminal cancer, and she starts harboring an unrequited crush for her dad’s doctor. All hope’s not lost however, as a potential love interest may soon come to her rescue. Why it’s good for rainy days: Dark looming clouds and flashes of lighting are synonymous with the end of the world – need we say more? What it’s about: In Birchwood, Auschwitz, life is determined by your functionality – lucky for 14-year-old Ella, she found work as a dressmaker in a sewing workshop. 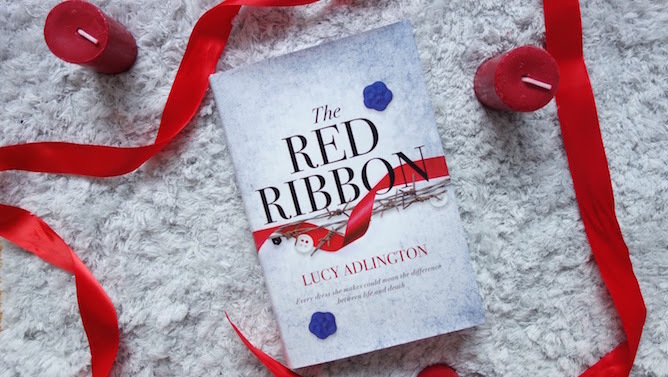 Surrounded by luxurious silk, buttons and ribbons, Ella can almost forget that she is being held against her will and her survival determined by the quality of the dresses she makes. Will Ella earn her keep and live to tell her horrible tale or is she another lost body added to the pile? Why it’s good for rainy days: The plot is goosebumps-ridden experience with some of the most iconic scenes set in cold or wet weather; the brooding storm will only intensify your imagination. 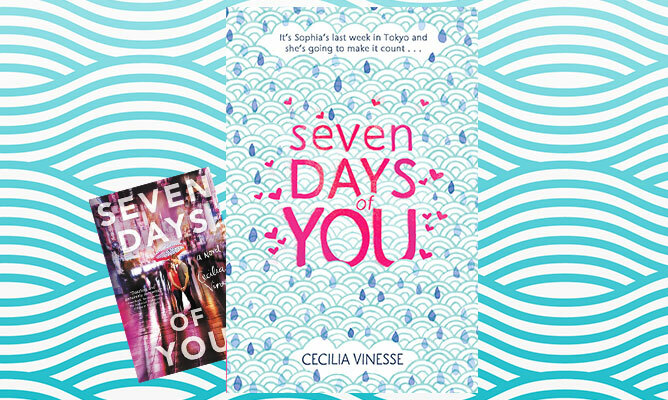 Why it’s good for rainy days: If the cover hasn’t already convinced you that rain and romance goes hand in hand, the weather will help bring to life the cliché downpours that the characters will fight, cry and kiss in. What it’s about: Red, Rose, Leo and Naomi were brought together by music but held together by their inner demons – drawing strength from one another as they fight through their individual battles. Their support system seemed air tight until the optimist of the crew is found belly up in Thames River. Did they fail to see the warning signs of a suicide attempt or is there more than meets the eye? The band of misfits are on a mission to solve the mystery even without the police. 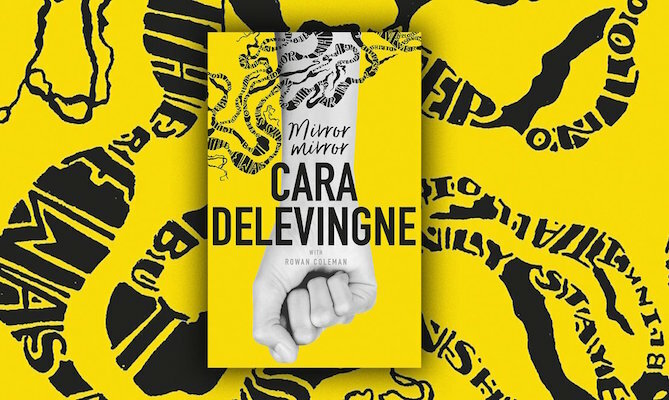 Why it’s good for rainy days: If you don’t already believe in the chemistry between a profound mystery novel and dark clouds, Mirror, Mirror has a plot that will spur on a series of melancholic thoughts that complement the weather. 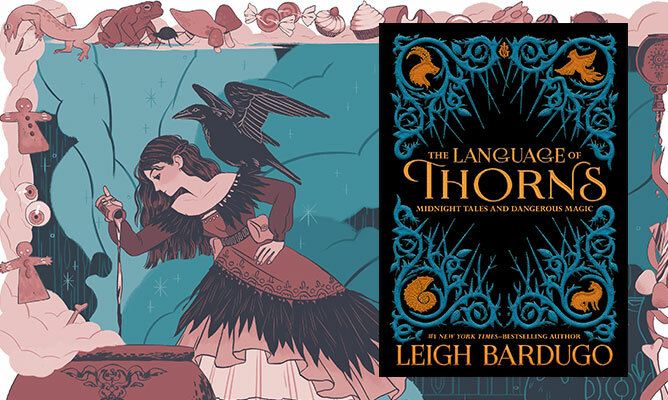 What it’s about: A genre that positions itself in between the gory Grimm’s Fairytales and their child-friendly renditions, featuring six short stories weaved with dangerous magic and enchantment. Every tale breathes you into a world of lurking evil with helpful river spirits, hungry woods, a man-eating prince, gingerbread girls and mermaids that can sing a garden to life – all of which promises unexpected twists and delicious betrayals. Not to mention the lavish illustrations that morph with the stories. Why it’s good for rainy days: Fairytales, myths and legends for grown ups – every short story overflows with mystic and the pitter-patter of the rain only enhances its whimsical charm. What it’s about: Jule Williams wears many hats; and wigs, accents, background stories. In fact, aside from her diabolical smarts and that she’s run to ground, we can’t be too sure who ‘Jule’ really is. 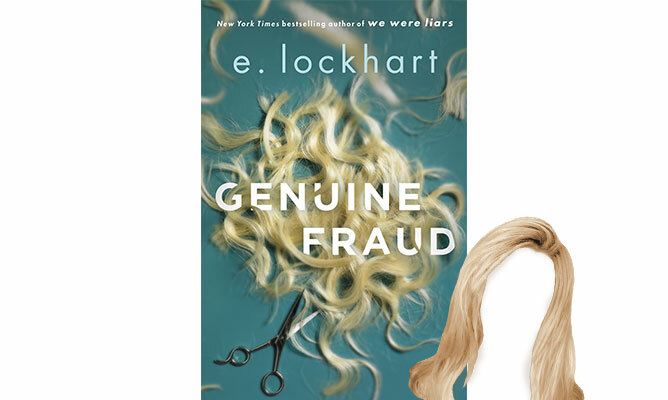 Her new persona is well camouflaged until she meets Imogen, a millionaire heiress with a secret that soon becomes her closest friend. The murkiness of each character will only be made certain later in the story, but you can count on an intense friendship, a disappearance, couple of murders and bad romance. Why it’s good for rainy days: The shadow of mystery cast in every page is just like a heavy rain cloud about to blow – you’ll have your head stuck in this story with a fierce anticipation (and hesitation) for the end. What it’s about: Of the 60 fiction stories, you can expect exciting tales inspired by World War II and spiels of conversations between unassuming people. 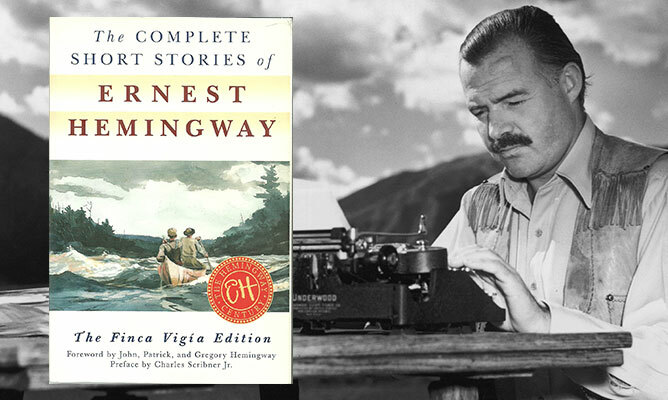 On top of classics like “Hills Like White Elephants” and “A Clean, Well-Lighted Place”, you can expect 21 unpublished stories written in a characteristically Hemingway flair – complex plots with uncluttered sentences that breathes life into every character. Why it’s good for rainy days: Whether the rain lasts for 15 minutes or 2 hours, this book has you covered with 60 different endings to conquer. More importantly, every story is filled with literary allusion that hints at something deeper for you to ponder over even after you’re done. We’re always on the hunt for good reads, so share with us your favourite books! If you thought your internship was bad, wait till you read these real-life cautionary tales. We asked Teenage readers to divulge their worst experiences in the workplace – here are the top stories we picked out (and how to avoid them). After graduating with a diploma in “this is definitely what I don’t want to do”, I decided to take a gap year to pursue journalism, and the only place that would hire a business student to write was a marketing firm. I mostly helped to manage clients, but I was allowed to contribute to their magazine, although it was a short-lived excitement. “Writing is something either you have or you don’t have”, “What a stupid mistake”, “I can only blame myself for trusting you completely”, “Mummy and Daddy aren’t here, you know? I can’t babysit you all day” – I had verbal abuse hurled at me every day. It didn’t matter where we were or who was around us, she had no qualms about putting me down in front of others. One day, we were waiting for a cab to bring us to the next meeting, but the driver ended up missing the turn as I was on the phone with a client and did not monitor the app. “Tell me how your brain works!” she yelled, enraged that we had to wait another five minutes for the car to arrive. I finally found the courage to quit, but even when I was doing the handover on my last day, I still wasn’t spared from her accusations. “She isn’t competent enough,” she would lament. For hours, I sat down wondering if she was just a malicious bully or if I was truly incompetent. • Verbal abuse is never okay. No one wants to be in their boss’ bad books, but that doesn’t mean you can’t speak up. Don’t be afraid to ask your co-workers for help on how to handle the situation. If all else fails, present your concerns to the human resource department so they can take proper action. During my polytechnic days, I worked as a finance assistance intern for six months. At the start, it was manageable as the accountant’s assistant was there to teach me everything from scratch and provide help along the way. I had a great time. • Being the ‘yes’ person would no doubt leave a good impression at first, but be careful of biting off more than you can chew. The next time boss asks you to stay on for last-minute paperwork, explain that you have more pressing obligations on hand and propose a different timeline for the extra task. This was an episode that happened during my internship as an editorial intern for an online publication. I was working on an article that required a professional’s input and it was the company’s practice to gather quotes from more than one professional in order to get a variety of opinions. When I sent the piece to one of the interviewees for vetting purposes, I received an angry call from her that she felt incensed she wasn’t the only one featured, spewing foul language and threatening to sue me. A fellow intern took over the call, but we were so shaken by her threat that both of us broke down in tears. Eventually, a writer stepped in to speak up for us. • Although the other party may be in the wrong, it’s important to manage their expectations and make things clear from the get-go. To be safe, send out recap emails after phone conversations to lessen the chances of misunderstandings. Make sure to let your supervisor or a fellow colleague look through before sending! During my school’s internship programme, I was attached to a small architecture firm that only had three other staff members, including the boss himself. He was an erratic old man who had a hearty laugh, but not the best of tempers. He would take me out to construction sites occasionally, and I detested having to follow him as while it allowed me to be away from office, it also meant I could not complete certain assignments on time. On site, he showed his unpleasant nature as he would hurl vulgarities at the construction workers in Hokkien. And it was perplexing knowing that the foreign workers didn’t speak the dialect and would merely smile awkwardly to his bombardment of insults. • If you don’t feel comfortable confronting your boss, approach someone in a position of authority who could intervene. Wherever possible, you can also engage with the affected individuals and let them know that they are not alone in this situation. Unlike others who already had their internship during their polytechnic years, I was a fresh graduate with zero real-world experience. Thus, I settled for an unpaid internship at a start-up company located in a ‘home office’. It was three months of hell as I would fetch them coffee from the kopitiam every morning, go grocery shopping to stock up for the office fridge, and even help my boss to clean up his room. Once, I got locked out as the team went out partying the previous night. I gave my boss a call, secretly hoping he would dismiss me early for the day – but instead, he demanded that I stay put by the door until they show up. I ended up waiting for four hours. • While you’re expected to help out with menial tasks, it shouldn’t make up the bulk of your daily routine. Try setting up a private meeting and come prepared with a list of personal goals you wish to accomplish for the company. This will give your boss a better idea of what you can contribute. I was interning at a major public relations firm and it was a company that anyone would kill to work at. Being accepted into such a reputable corporation, I was elated and couldn’t wait to start work. During my first day of internship, I was asked to sit in for a meeting with the higher-ups. Tension was thick in the air and it was painfully obvious that I was the newbie because I couldn’t stop fidgeting. I tried to pay attention, but I had no idea what was going on as nobody cared to fill me in. • If you know your company has implemented a no-phone policy during meetings, leave your devices behind and enter with a notebook in hand to jot down notes. Once you’ve stepped out of the intern comfort zone, you can even start sharing your thoughts and engaging in the conversation. Have your own internship horror stories to share? Spill the tea in the comment section! We’re no strangers to that overwhelmingly anxious feeling that grows as an important occasion arises. At best, it pushes you to work even harder; at worst it initiates a complete meltdown that renders you unable to function efficiently. And while it’s completely normal to feel the nerves, letting it completely crush you isn’t a viable solution. Here’s a list of quick fixes to help you keep the kan chiong jitterbugs at bay. Whether it’s watching a hilarious sitcom or variety show, scrolling through SGAG or loading up funny fail videos on YouTube, letting off steam through laughter is the quickest and easiest method to ease the nerves. Or if you’re right outside the exam hall with no access to your phone, quickly grab your comedian-wannabe friend and have them tell you a lame joke. Spending long hours cooped up indoors isn’t doing any favours for your mental health and body. In between study breaks, make it a point to take a short walk outdoors to soak up some vitamin D and stare at some greenery. Apart from the obvious health benefits such as minimising the risk of cholesterol, diabetes, obesity and mental stress, it also helps to clear your mind and soothe anxiety. Nothing eases freaking out better than cuddling with a pet aka the superheroes we don’t deserve. The next time you feel the kan chiong bug coming, hit up your (or your friends) dog/cat/hamster/rabbit and give them some love. Alternatively, you could always search up aww-inspiring videos of quirky pets doing hilarious things. You’ll feel relaxed in no time! Holding the door for a stranger, sheltering someone with your umbrella, donating to charity, or even treating your friend to lunch – research shows that doing something kind for others lead to a significant increase in positive moods, and a decrease in social anxiety. It has also been found that performing other positive acts once a week will lead to the most happiness. Keep your eyes peeled for someone you can lend a helping hand to — it’s a win win situation! Forget about selfies/wefies/food snaps for a moment and turn your lenses toward your daily sights and sounds. Hone the skill of viewing ordinary things from different perspectives (quite literally) and you’ll soon be able to apply that very same logic to various aspects in your life. What may seem like a daunting situation could also be viewed as a challenging opportunity; similarly, an unpleasant happening could be a blessing in disguise. Being able to step out of your headspace and look at a situation in a different light could improve the way you feel too. Bottling anxiety, fear and anger up is disastrous for your long-term mental health. And if you don’t feel comfortable talking about it, how about getting rid of it via a good old Hulk smash? There are various ways you can do it: heading to The Fragment Room and breaking everything in sight, pummeling it out in the gym via Muay Thai/Boxing classes, or even playing Beaver Smash at the arcade. Either way, you’ll feel way better afterwards! Whether it’s dipping into a relaxing bath, going swimming, heading to the beach or even loading up the sounds of waves crashing on the beach, there’s just something about water that calms the most frazzled of nerves. Even if you don’t practice meditation, there’s something to be said about the process of quieting down, clearing your head of thoughts (as much as possible) while doing deep breathing exercises. And the best part? Accidentally falling asleep is a bonus! Which brings us to the next point. Don’t underestimate the power of a good sleep! Apart from recharging the mind and body, healthy rest helps to improve overall mental health. If you’re having trouble falling asleep at night due to anxious feelings, try creating a calming bedtime routine that includes warm showers, herbal tea and other soothing rituals to help you and your thoughts gradually wind down. It may seem like a no brainer, but confiding in a trusted friend can do wonders. It may be scary at first, but sharing your thoughts (even if they don’t make sense to you) and explaining what you’re going through will not only provide you with an emotional outlet, it will also lessen any confusion and help you gain clarity of the situation or gain a different perspective of an otherwise overwhelming situation. You can do it! The next time you’re feeling frazzled, treat yo’ self to a luxurious massage to alleviate body stiffness (that comes with constantly hunching over your textbooks) and have your stress physically kneaded out of you. For a quick fix, try massaging your pressure points such as the web between your index finger and thumb (for relieving headaches), between your eyebrows and temples (to relieve pressure on the sinuses), and (this may sound weird) gently massage your ears with your thumb and index finger to relax yourself. Experts say that chaotic surroundings can trigger stress responses, so relieve stress by getting organised. From effectively managing your to-do lists, creating a relaxing living and work space (check out our handy de-cluttering guide), and fixing any other anxiety-inducing aspects of your life, you’ll be able to function better mentally after doing this physical cleanse! Trust us on this; while it may seem strange to explore the worst possible scenarios that could happen based on what’s causing your anxiety, this strategy actually allows you to acknowledge that fear, prepare for it and ultimately take back control. For example, you’re afraid of failing that big year end exam and subsequently not being able to continue on in the course you desire. If that really happens, what’s the next you could take to improve the situation? In a nutshell, knowing that you have a backup course of action to take in the event of your worst-case scenario (however unlikely it may be) will help tremendously to relieve the anxiety. How do you calm yourself down before an important event? Share your tips with us!